Carmenere on Long Island? Yes, really. I've had several carmeneres from Chile, enjoying the relatively few elegant ones that don't have huge extract, but I admittedly know very little about the grape. Carménère grape is a wine grape variety originally planted in the Médoc region of Bordeaux, France, where it was used to produce deep red wines and occasionally used for blending purposes in the same manner as Petit Verdot. A member of the Cabernet family of grapes, the name "Carménère" originates from the French word for crimson (carmin) which refers to the brilliant crimson colour of the autumn foliage prior to leaf-fall. The grape is also known as Grande Vidure, a historic Bordeaux synonym, although current European Union regulations prohibit Chilean imports under this name into the European Union. Along with Cabernet sauvignon, Cabernet franc, Merlot, Malbec and Petit verdot, Carménère is considered part of the original six red grapes of Bordeaux, France. Given the success growers and winemakers have had with the other Bordeaux varieties (even cabernet sauvignon planted in the right places in the right years) it's maybe a bit surprising that this is the first carmenere here, but before I tasted it, I still wondered if they'd be able to ripen this grape fully to minimize the bell pepper flavors that can come from under-ripe grapes (sound familiar?). Maybe they have it planted in a spot in their vineyard where reds ripen particularly well, or maybe it's just because this wine came from the hot, dry 2007 season, but this wine shows none of that green pepper character. In fact, this wine almost seems overripe in some of it's aromas and flavors. Ripe, almost port-like aromas of dried cherry, fig and sweet red cherry are layered with those of Chinese five spice, cedar and green peppercorns. Juicy on the palate with medium-soft tannins, rich cherry fruit, more five spice, toasty oak and clove mingle with a bit of smoke and sweet herbs. The dried fruit and fig character comes back on a medium finish. A fine first effort, I'm curious to taste the 2008 and 2009 editions of this. I'm curious how the grape does in cooler, more typical growing seasons. This wine is scheduled to be released today in the tasting room, but I haven't been able to track down how much they are selling it for. I’ve encountered consistent quality and creativity from Ithaca Brewing Company’s high-end Excelsior line. Now into the third week of my attempt to make up for lost time drinking all the craft beer I missed while abroad, I shelled out $10 for Ithaca’s 12th Anniversary release knowing it was a special-occasion beer. This Belgian quadrupel-style beer pours a toasty four-finger head with clearly stratified lacing into a goblet, ruddy, muddy and murky with a tinge of butterscotch color. A malt-fest of hazelnut and oatmeal cookies, the nose opens up to some lovely citrus notes reminiscent of Clementines. Ithaca’s website offers little technical information other than the use of French malts, German hops and Trappist yeast strains; the Belgian yeast certainly lends light esters to the nose and cuts the creamy richness. There’s also some earthy funk adding complexity and a solid Belgian feel. On the palate, thick roasty sweetness announces the quad style, with the alcohol (10% ABV) only for a second overpowering. Luckily it slips back into line and merges with persistent layers of rich caramel malt for a luxurious, end-of-the-night, if-you-had-any-plans-cancel-them finish. This is a pairing brew, begging for peanut butter and chocolate, creamy cheese and fig chutney, or a good cigar. Enjoying it on his 66th birthday, my dad confirmed that it is excellent with buttercream birthday cake iced with chocolate and kahlua. It's been a while since we've published a Tasting Table -- sorry for that. Our coverage of Finger Lakes riesling and Long Island rose will carry over into June a bit, but here are some of the rieslings and roses that for one reason or another. Many roses made with 100% merlot bore me. There are exceptions of course, but mostly you simple strawberry and maybe some watermelon but not much else. Blending red varieties or even blending reds and whites brings out more complexity, which I look for. But this Palmer Vineyards 2009 Rose Merlot ($19) really impressed me in a recent tasting. In fact, it's one of the best local roses I've tasted this year. Citrus blossom and grapefruit kick off the nose, followed by strawberry, watermelon (of course) and sweet red cherry aromas. Red berry fruit flavors are framed by fresh, well-incorporated acidity and just a bit of skin tannin, which brings a subtle spiciness and classic Long Island earthiness. Surprisingly long, the finish is classy and fresh and lingers with berry fruit, grapefruit and spice. At $19, it might be a dollar or two pricey, but it's a rose that will appeal to a wide range of wine drinkers and is really well done. Having tasted a lot of Finger Lakes riesling this month -- a lot -- several characteristics that consistently ran through most of the wines. I'm not going to get into a discussion of terroir here, but flavors like lime, peach/apricot, slate minerality and anise can be found in a great many Finger Lakes rieslings. This Wagner Vineyards 2008 Semi-Dry Riesling ($13) stood out as something different and I'd be curious to find out more about the vineyard practices and winemaking techniques employed here. Different doesn't mean better or worse -- it's just different. Aromas of almonds, green figs, honey and just-ripe melon lead the way here, with subtle citrus character -- more lemon than lime. The palate shows surprising, palate-coating richness with fig, peach jam and citrus zest flavors. The mid-palate does show some honey sweetness, but it's cleaned nicely by just enough citrusy acidity that leads into a medium-short, fruity-minerally finish. As you may have noticed (okay, probably not) we've made some changes to the NYCR contributors page, including two pieces of staff shuffling. One has an immediate impact to our editorial calendar, the other will become much more apparent once we re-launch the site -- this summer I hope. First, I'm happy to announce that Evan Dawson will take on the role of Managing Editor going forward. This reflects not only his leadership role as we grow and move the site forward, but also that once some technical challenges are eliminated (in other words, when we get off of TypePad) he'll be more involved in the day-to-day editing and publishing of content. He'll continue to focus on the Finger Lakes region and also cover the Chautauqua-Lake Erie region. I'm also pleased to announce that Julia Burke, who has been a great addition to the team covering the Niagara wine beat with our regional editor, Bryan Calandrelli, will be leaving the wine beat to take over as our first Beer Editor, where her knowledge, palate and writing talent are sure to enrich our overall editorial. Making dry riesling isn't easy. Sure, you can let the yeast do its thing and ferment to dryness, but if you are shooting for balance and depth of flavor, it's not that simple. It takes good, ripe fruit (and I'm not just talking sugar levels here) and a deft hand in the cellar. Without careful attention, you're left with what I often term "acid water" -- crisp wines without much of anything going on beyond acidity. Dave Whiting, co-owner and winemaker at Red Newt Cellars, successfully walks the tightrope with Red New Wine Cellars 2007 Dry Riesling ($24). Aromas of gunflint and petrol are layered with Honeycrisp apple, lemon and almond on a nose that belies this wines relative youth. That apple character is much more dominant on the palate, with a fine citrus edge. The ripeness of the vintage is shown in the breadth this wine shows on the palate, with good acidity bringing balance, if not linear focus. There is a line zest note on the end of a medium-long finish as well. Even as many Finger Lakes wineries get more attention from national publications, Thirsty Owl Wine Company continues to fly (pun intended) a bit under the radar. I'm not familiar enough with the people behind the wines to say why, though. Still, the Cayuga Lake producer does come recommended by at least a handful of local wine lovers I respect and trust, so I was excited to be able to buy a bottle of this riesling a little while back. Peach and dried apricot aromas lead the way on the nose with a dollop of honey and subtle hay notes, which probably means there was at least some botrytis here. Ripe, juicy -- almost candied -- peach flavors are accented by lime and grapefruit zest on a off-dry palate. The light, honeyed sweetness perceptible on the mid-palate is cut and balanced reasonably wellby a squirt of citrusy acidity. The finish is medium length, fruity but dry. This wine would be a solid value at $12-13, but is still a very nice wine at $15. Looking for a light, crisp rose with delicate red fruit character and maybe a little citrusy acidity? Look somewhere else.There are plenty of local roses that fit that description. Shinn Estate Vineyards 2009 Rose ($15) is something different. It is a completely different animal and is clearly not meant to be a beach or poolside gulper. The nose offers the expected red cherry and strawberry fruit, but there is some decidedly earthy character here too, and some dried herbs -- showing classic Long Island merlot and cabernet franc characteristics, which makes sense -- those are the grape that went into it. On the palate, there is a heft here that few local roses offer with savory herbs and earthy flavors layered on top of red berry and watermelon fruit. Both fresh acidity and gently noticeable tannins, bring more structure than you'd expect and lead into a dry, medium-length, earthy finish. I hesitate to use the word "serious" to describe a $15 rose, but this is certainly a wine for food lovers. It is a wine that begs -- maybe even needs -- to be served with food to shine brightest. I'm not talking about your typical rose fare either. This is a wine for barbecue grilled chicken and burgers but slabs of bacon and cheddar. For spiced pork chops and pulled pork. It's basically a light red wine, and should be treated that way at the table. It's not a wine for everyone -- several people I poured it for didn't love it -- but it's a wine that makes a statement. This website, under the LENNDEVOURS name, has been nominated for a few awards over the years, often in the "single subject" arena because of our singular focus on the New York wine industry. Last year, we even won the single subject category. Today, I was humbled to learn that the NYCR was named a finalist in three separate categories in the 2010 Wine Blog Awards: "Best Industry/Business Wine Blog,"Best Single Subject Wine Blog" and "Best Overall Wine Blog." With so many outstanding wine blogs being published and worked on by so many smart, passionate people, we're proud that our little corner of the online wine world is seen as worthy of this honor and attention. There are some great blogs being recognized this year -- we'll be lucky to win again. But, if you'd like to vote for us and your other favorite blogs, we'd be honored. Voting runs through the end of the week, so vote today. Today I'm happy to announce our New York Cork Club selections for May: Shinn Estate Vineyards 2009 Coalescence and Standing Stone Vineyards 2008 Riesling Ice. Before I say a bit about the two wines, you can read about the NYCC if you'd like, but the quick and dirty of it is that we've partnered with BacchusWineOnline.com to build a wine club that features only wines made in New York -- making more accessible to people around the country. The Shinn Coalescence is one of the state's great white wine values. It's a steel-fermented blend of chardonnay, sauvignon blanc, riesling and merlot blanc that is intensely citrusy on the nose with subtle minerally seawater character and herbaceous notes. Lithe on the palate, lime and grapefruit flavors lead the way and are accented by lemongrass and well-integrated, juicy acidity. More of that saline minerality comes back again on the tangy, quinine finish. There are some outstanding dessert/ice/late harvest wines being made in the Finger Lakes, but I'm not sure any of them delivers the bang for the buck that this Standing Stone does. Though not a traditionally made ice wine (the grapes are harvested late and then frozen commercially) it For $25 (at the winery) it delivers great honeyed citrus and peach flavors with great mouthfeel and acidity. I'm proud of what we're building with the NYCC and I encourage you to give it a shot. You can sign up for a month or for a year and cancel at any time. And while the price varies from month-to-month depending on the wines selected, we always keep it under $60 and often far less. I don't make a dime from the project -- it's all about my passion of New York wines and getting them in the hands of more people. A while back I wrote about the difficulties of being a single wine taster in South Africa’s wine country, arguing that New York has a general edge when it comes to tasting room service for singles. In the interest of balance, I’d like to discuss something we can learn from the South Africans: the art of supporting local wine. Here in New York, we look for restaurants that have one or two local wines on the list – and by “local,” we’ll settle for “within the state.” Winery employees hit the road relentlessly in an effort to get their wines into stores, attempting the often-difficult task of convincing shop owners that they can sell customers a New York red. Many folks want to support local, buy local, eat local – but when it comes to drinking local, there’s a disconnect between what is right and what is convenient. “Locavore” is not a buzzword in South Africa’s Cape Winelands – it’s the status quo, and there’s no need for the offshoot term “locapour” because there is no other kind of wine drinker. Folks that live in the Western Cape, especially within the areas that are designated Wine of Origin regions and districts (Stellenbosch, Paarl and Robertson, for example) don’t need to seek out local wine. Every supermarket and wine shop in town is packed with it. Forget about selecting restaurants based on their inclusion of local wines – finding a restaurant that serves at least one non-South-African wine is a challenge. And local food is a no-brainer: what goes better with South Africa’s dirty, lusty reds than gemsbock steaks or kudu loin from the game reserves of one of the world’s preeminent nations for hunting? Once during my stay in South Africa I ate at a restaurant that was not within 30 kilometers of a wine region. My host, Blaauwklippen’s assistant winemaker, came prepared: he brought Stellenbosch wine from home in a wine cooler tote. Balthazar Wine Bar on Cape Town’s V&A Waterfront takes local wine promotion to the next level. On a list (pictured right and at the top of this post) of some 300 wines, an entire page is devoted to explaining the wine regions of South Africa to the customer. I counted two non-South-African wines, a Mosel Riesling and a Loire red blend. The rest were grouped by style and described by region and sub-region, star rating in the beloved Platter’s Guide, food pairings (the menu features local seafood and game), and other awards. A friendly sommelier, well-versed in the nuances of each of South Africa’s many wine styles, makes selecting the perfect wine from this insane menu a little easier. Though Balthazar is in a class by itself in terms of sheer number of wines, this kind of attention to educating the consumer about the local wine scene was evident in nearly every restaurant I attended. Why are South African wine drinkers such great supporters of local wine? First and perhaps most straightforwardly, local wine is more affordable for South Africans than anything from outside the country. South African producers are known worldwide for keeping their prices low and value high, and if outstanding local chenin blanc is available for $4 a bottle, why would a wallet-conscious South African go to the trouble of seeking out and ordering a $15 Vouvray? But it’s not just a matter of dollars and cents. After all, there are producers in the famed Golden Triangle (from the Stellenbosch mountains to Helderberg) selling Cape Blends at $50-$60 a bottle. South Africans could get a cab/shiraz blend from Australia for $10 – but they don’t, which brings me to my second point: cultural pride. South African wine drinkers love their hometown wine regions. Wine farms are destinations, not just for tourists but for locals who want a family outing on a Sunday afternoon. They offer picnics, extensive playground equipment, romantic secluded tasting room areas for two – the idea is to spend hours or even the whole day relaxing with a bottle of wine. And the food at the wine farms, whether it’s a local cheese platter or a three-course dinner, is some of the most exceptional in the country. Live music, extensive tours, and other attractions make them some of the coolest places in town. South Africans are proud of their country’s wine culture (one of the oldest in the world – vines were first planted by Dutch settlers in the Cape in 1652). They don’t want to be compared to Brand Australia and they don’t want to be more like France. It’s not isolationism, though the isolation of economic sanctions during apartheid certainly played a role in keeping South African wines within the country. It’s appreciation of living in a country with hundreds of wine farms making hundreds of different styles, competing, experimenting, making the best possible wines that they can. And if you’re thinking, “Pinotage isn’t all that great,” be aware that South Africans tend to make certain wines for export and keep the cream of the crop for themselves. Because of the level of competition and quality in the South African wine scene, wine enthusiasts can try everything from gamay to nebbiolo to pinot noir to tempranillo without venturing past the Wine of Origin sticker. What can we New York wine and beer supporters learn from this? Last week I attended a round-table discussion between local wineries and retailers about how to sell more New York wine. Several concerns were raised: retailers felt their staff weren’t adequately educated to hand-sell a $25 New York wine; that consumers aren’t hip to the local wine scene and therefore don’t seek it out; and that without the support of restaurant wine lists, both shops and wineries are at a disadvantage. Wineries can also offer to help educate the staff at retail shops by hosting them at tasting and tour events. In South Africa, wine shop owners and restaurant owners are familiar with local wineries because they visit them and often know the winemakers. An educated staff translates into educated consumers, and there is enough quality in New York beer and wine to hook an educated consumer for life. The price issue is, of course, a curve ball in the local wine problem here in New York, and one that deserves its own post, but I don’t think it’s insurmountable. When customers visit Niagara tasting rooms and experience firsthand the excitement of a wine region in its infancy, when they get friendly, knowledgeable service and a little glimpse of where it all happens, they shell out $35 for a bottle of pinot noir more willingly than I ever would have thought possible. That’s the final lesson I think we can take from South Africa: if you’re a producer, make your winery a destination. Make it fun, make it an education for your customers and a memorable experience. The wine will do the rest. May is two-thirds over and so is Run for the Roses, but we're going to jam a lot of rose reviews into the last 12 days of the month, including this wine from Peconic Bay Winery's Nautique second-label line. Much like Lieb's Merlot Blanc, this Nautique Esprit de Rose ($16) is a charitable double-whammy. First, a dollar from each bottle purchased goes to CancerCare as part of Run for the Roses. Then, Peconic Bay Winery, in collaboration with the National Breast Cancer Foundation, Inc. (NBCF), to fight breast cancer. A portion of the proceeds, about a dollar a bottle, will be donated to NBCF. Made using estate-grown cabernet sauvignon with some North Fork cabernet sauvignon and cabernet franc, and a bit of estate chardonnay and riesling to round it out, this is extremely fruity, but also shows of a bit of North Fork character. Red berries and orange peel fruitiness is accented on the nose by a subtle earthiness and just a little lemony citrus character. Fruity and round on the palate, the red berry flavors are a bit candied and dominate here with a creamy mid-palate and subtle dried herb flavors. The acidity is good, but isn't quite integrated into the wine. This one might need a bit more time in bottle to settle in, but my guess is that it'll sell out at the tasting room before it has a chance to. Over the weekend, we reviewed Red Newt Cellars' entree into the $12 riesling market. Today, we review their Red Newt Cellars 2008 Semi-Dry Riesling ($14) which is only a couple bucks more. And I like it a bit better as well, and despite being labeled semi-dry I think the residual sugar (1%) and balancing acidity make this a wine that will appeal to those who prefer their riesling on the drier side. The nose effusive and shows ripe peach and apricot primary aromas with citrus blossom, vanilla-mint and anise notes beneath. Juicy peach and pear flavors lead the way on a fruity, fresh palate with just a little candy shell and sweet-tart lemon nuance. The finish is medium-long and ends almost dry with a crisp pear note. Though not as focused as some Finger Lakes rieslings, this is a great value, even if "semi-dry" is even more than a little ambiguous in this case. This may not come as that much of a surprise to those familiar with the Finger Lakes, but the region does make really great riesling. 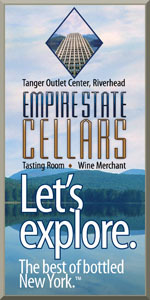 For participants in the second edition of Tastecamp EAST, however, this three-day, three-lake stint in the region was a great opportunity to confirm that the region indeed lives up to its reputation in that respect: just like merlot in Long Island – Tastecamp’s first destination, last year – the Finger Lakes' flagship grape consistently delivers. Throughout the weekend, we had the opportunity to taste a great range of rieslings, made in a great variety of styles, and from vintages ranging from 2001 to 2009. I don’t believe I tasted one I didn’t at least reasonably like, and many were delicious and worth cellaring. Rieslings from Red Newt, Ravines, Damiani, Lamoreaux Landing, Fox Run, Anthony Road, Heron Hill and others were distinctive, well-crafted and balanced, each in their own distinctive style. A 2002 riesling from Heron Hill was beautifully aged, with a lot of typical petrol notes and still nice fruit – and the 2007 looked even more promising. Lamoreaux Landing’s three single-vineyard bottlings showed truly distinctive character from site to site, in a crisp, refreshing style with good weight and length. Fox Run rieslings were exotic and fruit-driven, with a capacity to age very well, as demonstrated by a vertical tasting where the 2001s and 2003s still shone. Ravines’ Argetsinger vineyard riesling, bone-dry and mineral, yet aromatic and complex, showed a completely different take on the grape – and was also great with breakfast at its vineyard of origin. I could go on with many other examples: Hunt Country, Sheldrake Point and Three Brothers also had good wines to show. However, the highlight of the weekend, as far as riesling is concerned (there was also some great pinot from Damiani, Ravines and especially, Hearts and Hands), was a visit to Herman J. Wiemer Vineyard, a winery that has been at the heart of winegrowing in the Finger Lakes since the late 1970s. Hermann J. Wiemer, who moved from Germany to the Finger Lakes, determined to show the region’s potential for riesling, clearly knew his way around a vineyard and a cellar, and built a solid reputation in the region, even becoming an important source of vines for local growers, in his own nursery. A few years ago, Mr. Wiemer handed over the reins to a group of young investors, including his winemaker Fred Merwarth. Merwarth's approach shows a willingness to pay careful attention to the specificities of individual vineyards and of the grapes provided by each vintage, and a rare willingness, in the Finger Lakes, to let nature work its way into the fermentations. Merwarth’s approach offers the closest thing to natural winemaking that I saw all weekend, in a region where the approach tends to be very technical and control-oriented. I almost choked on my wine, one time, when a winemaker seriously stated that to let the local terroir express itself, you had to exert control on every step of the process – including using cultured yeasts to ensure predictable fermentations. Merwarth, thankfully, though he remains careful in his technique, is willing to give his wine more leeway. When he presses the juice at harvest, he does not add sulfur and lets it aerate substantially, something which likely helps the yeasts present on the grapes to start their work spontaneously. Still, in the first ferment of the season, he uses a cultured yeast, and then takes a bucket from that first tank and pours it into the next to help the fermentation start. His argument is that, by the time you get further down the line, the composition of yeasts has likely changed considerably, giving room to the yeasts present in the vineyard and cellar. Indeed, the Wiemer rieslings were very distinctive, with a particularly vibrant, expressive character and layers of aromas and flavors that I only found, otherwise, in the Tierce rieslings, a joint cuvée mixing wines from three wineries (Anthony Road, Red Newt and Fox Run) in a particularly successful blending exercise. With the exception of the Frost cuvée, a blend of wines that did not make it to single vineyard or reserve cuvée, and that I personally found a bit too sweet, everything was pretty much impeccable. The 2008 Dry Riesling had lots of fruit up front, with a mineral layer rising towards a stoney, crisp finish. The 2008 Reserve Dry Riesling was indeed a cut above, with apples and pears blending in over the nice mineral touches: a wine of impeccable balance, created from the best tanks from the various vineyards operated by the winery. The 2003 Reserve, actually all from the HJW Vineyard, located immediately next to the winery (Hermann J. Wiemer had a different approach to his reserve wines), showed apricots and honey and great length: it could still evolve beautifully. Single vineyard bottlings also showed a distinct personality, with the 2008 Magdalena Vineyard Riesling showing floral notes above the apple, pear and citrus that were at the core of the 2008 HJW Vineyard riesling’s expression. The Magdalena site, ten miles north of the winery, is actually warmer than the Wiemer vineyard, which may explain its slightly more expansive nature. A 2009 tank sample from Magdalena was luscious, with beautiful honeycrisp apple notes, while the HJW seemed a little tighter, even though it still had some residual sugar, as the fermentation was still under way. On another grape front, good points also go to the 2008 Gewurztraminer, which showed beautiful rose and white peppercorn, with a more open nose and complex expression than anything else I tasted that weekend. Many of the gewurzes I had during TasteCamp reminded me of Thrills “soap” gum, and simply didn’t give the full measure of the grape. This was a welcome exception. Merwarth pointed that he picks those grapes over several weeks, with earlier pickings providing an acidity that otherwise drops quickly, while later-harvested grapes provide a wide range of aromatics. A very successful approach. With what I tasted, in what was a very friendly, instructive tasting, I would be very happy to keep following what’s going on at Wiemer. Merwarth has a sure hand and a good capacity to listen to what the grapes are telling him. I hope he keeps going further down that path. It took no more than seven minutes for me to see one of the defining stories emerging from TasteCamp East 2010. There in the Heron Hill Winery tasting room, with several dozen writers from around the country, a gap came into view. It was so wide, so severe, that it could not be ignored. And if the Finger Lakes is going to continue its climb to wine world prominence, the gap will have to close. Specifically, I'm talking about the gap in quality from the top producers to the bottom tier. I am not sure there is a wine region in the world with a gap so obvious. I don't know if there is, of course, but I have not experienced anything close to what we see in the Finger Lakes. 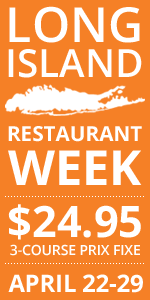 Even Long Island doesn't suffer from nearly this massive a disparity. In some sense, it feels hectoring or even wrong to write such a post. After all, I don't work in the wine industry. Who am I to offer advice or ideas on how wineries can improve their business? But then, I knew in those opening TasteCamp minutes that everyone was seeing the same gap. Standing at the bar at Heron Hill, enduring the worst flight of wines I've ever had (I'll choose not to mention the producer), I walked away, only to have another writer whisper, "You can't leave me here." When we stopped over to taste the wines of Keuka Spring Vineyards and McGregor Vineyard, for example, confidence was restored. But how can the difference be so vast? Still, you might wonder: So what? There are disappointments, but there are also producers like Ravines Wine Cellars and Hermann J. Wiemer and Heart & Hands Wine Company and Anthony Road Wine Company and Fox Run Vineyards and Red Newt Cellars and more. When the top producers are revealing the potential of this region, that's the story, right? Not necessarily. First of all, the top producers are, on average, slightly more expensive and smaller in total production. The result is a wine-buying public that has to work harder to find the world-class bottlings, and when they instead find the dreck, they might not give the Finger Lakes another chance. So what to do? Here are some ideas intended only to begin a conversation. I'm constantly surprised to hear industry professionals declare that they "mostly drink Finger Lakes wines." When I ask what their benchmark for riesling is, often I'm told, "There are some good ones locally, but I don't really taste European riesling. I'm too busy for that." I'm not sure how any wine professional can seek to make world-class wine without knowing what the rest of the world is doing. I would hope that the curiosity is inherent, burning constantly, leading winemakers to explore the endless possibilities. But too often there is a regional palate, a big ole house palate if you prefer, and that's dangerous. "We're not looking to mimic a wine from another region," explained Ravines' Morten Hallgren to the TasteCamp crowd. "But we have to have reference points. We can't isolate ourselves." Several TasteCamp writers said something to me about the lack of worldly curiosity in the winemakers they interviewed at the various grand tastings. That is a troubling sign for the region, but it's easy to change. If you want to make cabernet sauvignon or sauvignon blanc, you'd better have a good explanation for thoughtful customers. At one of the grand tastings, a winemaker poured a cabernet sauvignon, explaining, "Our cab is a big, full-bodied red with nice structure." The writer standing next to me later said, "Why are they borrowing the language of Napa?" In general, the region would do well to continue to narrow the focus to grapes that perform well in cool climates. The TasteCamp crowd left the weekend convinced that riesling is a powerhouse performer here, but pinot, gewurztraminer, cab franc, and even interesting grapes like blaufrankisch have tremendous upside. That doesn't mean everyone should rip up their cabernet sauvignon and merlot. But growing those varieties begs for a careful approach and a well-honed explanation, consistent with the benefits of food-friendly wine and cool-climate performance. How often do you show up in a tasting room in the Finger Lakes, discover that the staff is pouring cabernet sauvignon and chardonnay... and have them explain that a cool-climate approach delivers a different version of these familiar wines? I'd say almost never. Instead, it's typically something like, "Our chardonnay is big and luscious and buttery," or "Our cabernet sauvignon is rich and demands a slab of beef." Lenn and I were dismayed to see some of the choices made by Finger Lakes producers when it came to what to pour at the grand tastings. Some of the lists looked like the exact same list that winery would take to a drunk-fest in the middle of summer, designed to move hard-to-sell product rather than present the region's best face. The challenge rests in the fact that so many wineries can hardly afford a marketing director, let alone a staff that can help with such decisions. But every winery can help its own cause by showing each tasting group a thoughtful selection of wines and an interesting story about why they were chosen. Each tasting is an opportunity. At TasteCamp, some producers brought detailed technical notes along with individualized packages for each attendee. That's not the cheapest route, but it's one way to leave an impression. As strong as Finger Lakes rieslings are in general, I'd have liked to see more of the semi-dry variety (or even sweeter) at TasteCamp. One winery owner told us that they assume writers want dry wines only. I'm not sure where that myth developed, but it should be detonated. Local riesling shows world-class potential all the way up the sweetnes scale, and that should not be ignored. One of the reasons that Lenn and I felt TasteCamp was such a success was the opportunity to show everything about the region. We selected some of the strongest producers for individual visits, but we wanted to make sure the writers saw both sides of a gap that remains too wide. That kind of examination should only help the region's winemaking improve. Joe Roberts, also known as 1WineDude in the wine blogging world, was one of the first people to sign up for TasteCamp -- this year and last. He's enthusiastic about tasting wines from around the world and even talks up some of his local Pennsylvania wineries if you corner him (I have). He's also a fellow Pittsburgh Steelers fan, so he'll continue to be invited to events. Was this your first visit to Finger Lakes wine country? No. I've been to the Finger Lakes a few times over the past several years, mostly as a wine buff! Had you ever had any Finger Lakes wines before? And if so, what was your impression of them? Yes, certainly those I've purchased for myself as well as a steady stream of samples over the past year or so. Generally, in the past I'd found the rieslings to be really, really, good, the sparklers and dessert wines to be good, and the reds to primarily be not-so-good. After tasting a larger sampling of the wines being produced in the Finger Lakes, what is your impression now? I was amazed at the quality improvement in the red wines from the area, versus even just a few years ago. The improvement is staggering, really. The rieslings continue to impress, especially those from Wiemer which seem to have handled well the transition to new ownership. What, in general, impressed you the most? The people, of course -- passionate winemakers and (in some cases woodchuck-eating) grape growers for the most part, and the level of passion and wine knowledge from the bloggers/writers who participated is beyond impressive. What, in general, underwhelmed you the most? The variable range of quality in the wines not just between producers but also within portfolios made by the same producers. I'm all for experimentation in emerging wine regions, but not all of those experiments should be put on the market because when they're not very good they undermine the perception not only of the individual brand for that producer, but also of the grape growers and the region in general. I was unpleasantly surprised at that quality level variation. What tasting or vineyard walk was and will be the most memorable for you? Well, I don't see how anyone could EVER forget meeting someone like grape grower Sam Argetsinger! After so much online interaction with the attendees, which person surprised you the most in person? Wow. Impossible question to answer, so many of the attendees impressed me! I will always keep fond memories of sharing sake on the boat with Richard Auffrey and Richard Schnitzlein during the after-party -- great people, very knowledgeable and engaging; and that sake was out of this world! If you had to pick one, what would your wine of the weekend be? Another VERY tough question. It's a tie: the 2008 Hermann Wiemer Magdalena Vineyard Riesling for its pure fruit expression, and the 2008 Red Tail Ridge Pinot Noir for its "surprise!" factor.